Price from 33.900 ISK PER PERSON. This round trip to a nearby mountain takes in breath-taking views of Reykjavik as you overfly the city and land on one of the table top mountains. You will see colorful and charming dollhouse roofs, the neighboring towns and the surrounding countryside with extensive lava fields, reminding us of the true volcanic nature of Iceland. We kindly ask our passengers to arrive 15 min before the scheduled departure time. Please note that we thrive to give our customers the best service possible and on time performance is a priority. Therefore no delays are made due to late arriving passengers. 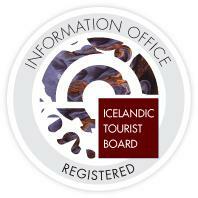 Our base is on the East side of Reykjavik Domestic Airport. Note that we are not where the local airline Air Iceland is but on the other side behind hotel "Icelandair Reykjavik Natura" The address is Nauthólsvegur 58d. It is a short 5 minutes drive from the City Center. The taxis usually know where we are located. In the following link you can find a map of the location: https://goo.gl/maps/41rOp The weather in Iceland plays a big role in our operation. Please check your email, cellphone or hotel reception for messages from us 1 hour before the start of your tour. Just in case we have been trying to reach you with updates or changes regarding your flight. Please call us on +354-5622500 if you have troubles finding our location or for updates regarding your flight.